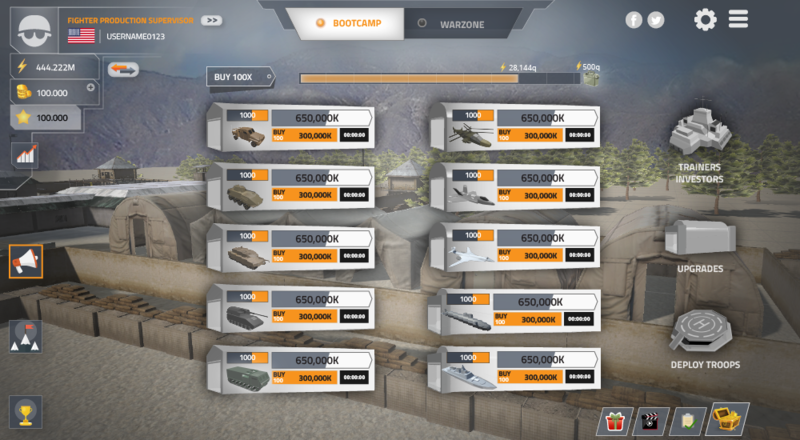 War Clicks game introduces new mechanics to incremental games. Game has some special elements/ features compared to other idle-clicker games and is surely unique in that look. First of all, there is a competition going on every day, between users and their countries. Goal is not only to get yourself the best possible results, but also to help your country climb to the top rankings using different strategies. War Clicks started in 2016 as a small side project of Gamex studio, but as our player-base grew, so did our expectations and development of it. In 2017 War Clicks became a serious project and lots of game mechanics have been changed and improved/optimized since. To make it even more fun several new features and mini-games were added. We’ve gotten great feedback and this was something that we were all aiming for! 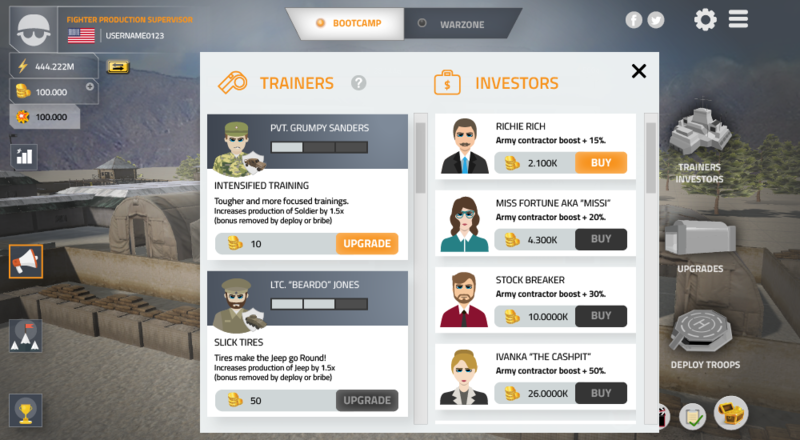 War Clicks is now in the phase of complete ‘explosion’, the user-base is growing rapidly and we still have lots to show within the game. Chase your own glory, attack enemies, fight for your country! Do you have what it takes to train your army and head off to wage battles? 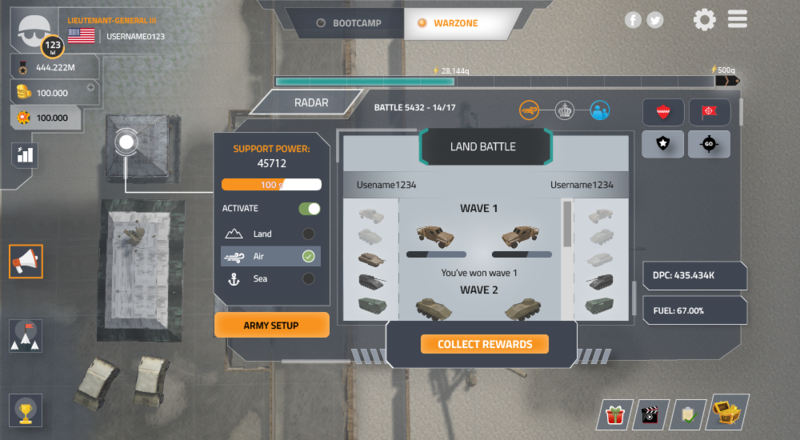 "War Clicks is one of the most popular military clicker games available and it is easy to see why!" Gamex studio allows for the contents of War Clicks Press Kit to be published through video broadcasting services for any commercial or non-commercial purposes. Monetization of videos created containing assets from War Clicks Press Kit is legally & explicitly allowed by Gamex studio. 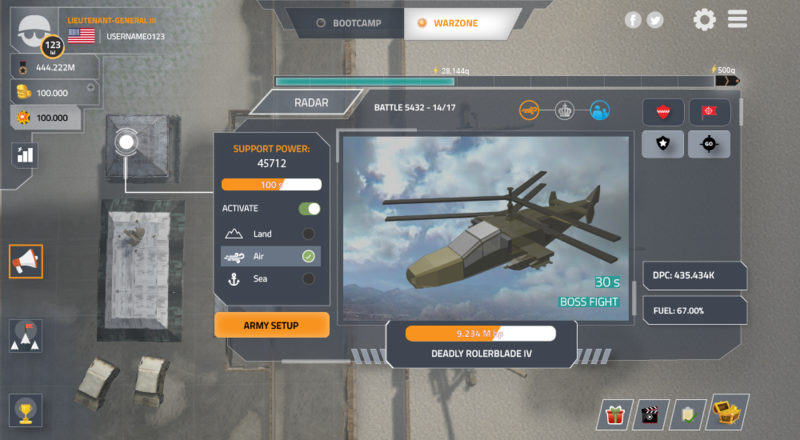 This permission can be found in writing at https://www.indiedb.com/games/war-clicks/presskit. ''War Clicks is a groundbreaking idle clicking game that definitely takes the genre to a whole new level.'' gamestough.com/games/reviews/war_clicks. ''Two idle games in one? We couldn't resist!'' idlegames.info/2018/12/war-clicks-two-idle-games-in-one-we-couldnt-resist. Gamex studio is a young company founded in 2015, providing various web-solutions to fulfill market needs and developing revolutionary clicker games along with venturing into other online-game genres. More information on Gamex studio, our logo & relevant media are available here.